Charles Joseph "Charlie" Weis (born March 30, 1956) is an American football coach who most recently was the head coach for the Kansas Jayhawks. For five years, from 2005 through 2009, Weis was the head football coach for the Notre Dame Fighting Irish. He has also served as an offensive coordinator in the National Football League, for the New York Jets, New England Patriots, and Kansas City Chiefs. After graduating from Notre Dame in 1978, Weis began his coaching career at Boonton High School in New Jersey. He spent the next five seasons at perennial powerhouse Morristown High School in New Jersey as a football assistant. In 1985, he was hired by head coach Joe Morrison at the University of South Carolina, where he received his master's degree in education while working as a graduate assistant position coach and assistant recruiting coordinator. He served four seasons on the Gamecock staff until Morrison died in 1989. He then returned to New Jersey as the head coach at Franklin High School and directed Franklin Township to the New Jersey state championship while also assisting in the New York Giants' pro personnel department. Weis launched his professional coaching career in 1990 when he was named offensive assistant and assistant special teams coach under Giants head coach Bill Parcells. The Giants went on to win Super Bowl XXV at the end of that season, beating the Buffalo Bills by a score of 20–19. After Ray Handley took over as head coach in 1991, Weis stayed on as the running back coach for two seasons. In 1991, he helped guide 2nd year running back Rodney Hampton to 1,059 yards and 10 TD on the ground. The Giants would finish 6th in rushing yards and 7th in rushing touchdowns in the NFL. The next year, Weis would utilize both Hampton (1,141 yards and 14 TD) and Jarrod Bunch (501 yards and 3 TD) to form a potent running back combination. The Giants would finish 6th in rushing yards and 2nd in rushing touchdowns in the NFL. After that he began a four-year stint with the New England Patriots. For the first two years (1993–1994), Weis served as the tight end coach. In 1995 he would switch to running back coach and finished 1996 as wide receiver coach. In 1993 he helped Ben Coates break out with 659 yards and 8 touchdowns. Marv Cook proved a reliable blocker as well. In 1994, Coates had one of the best seasons by a tight end ever with 96 catches, 1174 yards, and 7 touchdowns. In 1995, Weis helped turn rookie Curtis Martin's year into a Pro Bowl season with 1,487 yards and 14 touchdowns on the ground. Dave Meggett and Sam Gash proved to be reliable receivers out of the backfield as well with a combined 78 catches. Once again, saddled with a rookie, Weis performed magic in 1996 helping Terry Glenn break out with 90 catches for 1,132 yards and 6 touchdowns. Weis also helped wide receiver Shawn Jefferson put up 771 yards and 4 touchdowns along with developing Troy Brown into a solid role player with 21 catches for 222 yards. In 1997, Weis became the offensive coordinator of the Jets, in addition to duties as the team's primary receivers coach. In his second year as offensive coordinator, the Jets finished fourth in the National Football League in offense. 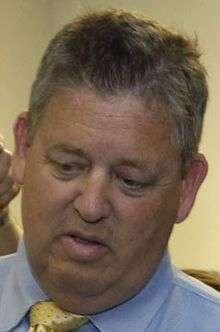 Weis served as the team's offensive coordinator from 1997 to 1999. Weis returned to New England Patriots following Parcells' announced retirement after the 1999 season. He served as offensive coordinator under head coach Bill Belichick from 2000 through 2004, installing the Erhardt-Perkins offensive system, and assisting the Patriots in three Super Bowl victories (XXXVI, XXXVIII, XXXIX). On November 30, 2004, after finishing its football season with a 6–5 record, Notre Dame released head coach Tyrone Willingham. After first choice Urban Meyer accepted the head coaching position at the University of Florida, the university ultimately hired Weis, who was named Notre Dame's 28th head football coach on December 12, 2004. On December 13, Weis signed a six-year contract worth a reported US$2 million per year. He was the first Notre Dame graduate to hold the football head coaching position since Hugh Devore (a 1934 graduate) served as interim coach in 1945 and 1963, and the first alumnus to serve as the Irish football coach on a full-fledged basis since Joe Kuharich (a 1938 Notre Dame graduate), who coached at Notre Dame from 1959 through 1962. In his first season as head coach of the Fighting Irish, Weis was widely quoted as telling his team that they would have a "decided schematic advantage" against their opponents, apparently in the belief that his schemes and strategies developed in the NFL were superior to the schemes being run by other college coaches. Indeed, the team's play, particularly that of junior quarterback Brady Quinn and junior wide receiver Jeff Samardzija, improved greatly. Samardzija, previously a little-used wide receiver, became Quinn's favorite target and a frequent game-breaker, and set school records for most touchdown receptions in a season (15), most receiving yardage in a season (1,249), and most consecutive games with a touchdown reception (8), after having no touchdown receptions in his previous two years at Notre Dame. Notre Dame lost to Michigan State in a dramatic 3 overtime loss. Weis was quoted as saying that they would never lose to Michigan State on his watch. Weis was 2–3 against the Spartans over his career. With a record of 9–2, his team finished the regular season ranked sixth in the Bowl Championship Series (BCS) standings, granting them a berth in the 2006 Fiesta Bowl in Tempe, Arizona, on January 2, 2006 which they lost to the Ohio State Buckeyes by a score of 34–20. The Irish finished ninth in the final AP Poll and eleventh in the Coaches Poll. His team's success on the field helped make Weis winner of the 2005 Eddie Robinson Coach of the Year Award, selected by the Football Writers Association of America. On October 29, 2005, barely halfway through the first year of a six-year contract, and with only a 5–2 record, Weis signed a contract extension with Notre Dame. The new 10-year deal, which began with the 2006 season, and which was to be worth a reported $30–40 million, would keep Weis at Notre Dame through 2015. During the 2006 season, Weis led the Fighting Irish to a 10–2 regular season record, and a second straight BCS berth, this time losing 41–14 in the Sugar Bowl to the LSU Tigers. This loss was the second straight bowl loss under Weis and the ninth straight bowl loss for the Irish. The Irish finished No. 17 in the final AP poll, and No. 19 in the final Coaches' Poll. While this season could be considered a disappointment based on Notre Dame's No. 2 pre-season ranking, Weis led the Irish to its second straight season of nine wins or more, something not achieved since the 1992 and 1993 seasons under Lou Holtz. Also for the second straight year Weis put together a top 10 recruiting class, including national player of the year Jimmy Clausen. In the 2007 season, Notre Dame went 3–9, with their only wins coming against UCLA, Duke and Stanford. Their loss to Navy on November 3 snapped an NCAA-record 43-game winning streak over the Midshipmen, dating back to the Heisman Trophy-winning tenure of Roger Staubach at the Naval Academy. Subsequently, the Irish fell to Navy in the 2009 and 2010 seasons (although, Weis was no longer the coach in 2010). The team ranked near the bottom of Division I FBS in both rushing yards per game and total yards per game. Along with being third from last in scoring per game, the team was shut out twice en route to its first nine-loss season ever. Weis attributed the team's downfall to his own mistakes, including his failure to use full-speed practices and to develop his players properly, his installation of two separate offensive systems, one for each potential starting quarterback, as well as to the graduation of star quarterback Brady Quinn. Despite the poor season, which was Notre Dame's worst ever (by losses), Weis nonetheless managed to recruit one of the top recruiting classes in the country. In 2008, The Irish started 4–1, but completed the regular season with a 6–6 record, including a 24–23 loss to Syracuse, the first time that Notre Dame had fallen to an eight-loss team. The combined 15 losses from 2007–08 marks the most losses for any two-year span. Despite speculation the university might fire Weis, it was announced shortly after the conclusion of the regular season that he would remain head coach in 2009. Weis's Notre Dame squad ended the season on a positive note, finally breaking the Irish's NCAA record nine-game bowl losing streak by beating Hawai'i 49–21. In the process, Notre Dame scored its highest point total of the season, its highest point total ever in a bowl game, and broke 8 other bowl records. The bowl win also helped Notre Dame to a 7–6 final record, its 102nd winning season in 120 years of football and Weis' third in four years. Notre Dame ended the year with a top 15 recruiting class, including signing the top defensive player in the nation. The Fighting Irish finished the 2009 regular season with a 6–6 record. A poor record for the season in addition to high preseason expectations for the team, including a preseason top 25 ranking, caused widespread speculation that Notre Dame would fire Weis. Weis was fired on November 30, 2009. He was succeeded by Brian Kelly. Weis was named offensive coordinator of the Kansas City Chiefs for 2010. In Weis's first year, the Chiefs improved from a record of 4–12 to 10–6 and returned to the playoffs after winning the AFC West Division. With Weis as offensive coordinator, the Chiefs had the NFL's best rushing attack, averaging an impressive 165 yards per game on the ground. Offensively the Chiefs ranked 9th in total offense, 11th in points per game, and 1st in rushing, but 28th in passing. However the Chiefs also sent four players on offense (WR Dwayne Bowe, RB Jamaal Charles, QB Matt Cassel and OG Brian Waters) to the Pro Bowl. Cassel, Bowe and Charles made their first ever trip to the Pro Bowl. Weis has also been credited with the improvement of Cassel who had a career year throwing for 27 touchdowns and only 5 interceptions in 14 games. On December 31, 2010, ESPN reported that Weis was targeted by the Florida Gators to become the next offensive coordinator under new head coach Will Muschamp. On January 2, 2011, Chiefs coach Todd Haley announced Weis would indeed be leaving for the Florida offensive coordinator position effective at the end of the season. Weis' tenure was broadly criticized after the team finished ranked 102nd nationally with just 334.17 yards per game. On December 8, 2011, Weis was named the head football coach for the University of Kansas replacing Turner Gill. He initially stated that he would not stay longer than the duration of his five-year contract, which runs out in 2016, but school officials persuaded him to consider a longer stay. Weis' 2012 team struggled to a 1–11 record in what was dubbed as a rebuilding year. Weis' 2013 Kansas team showed signs of improvement. Although they only compiled a 3–9 record, Weis' Jayhawks ended a 27-game Big 12 Conference losing streak with a 31–19 home victory over West Virginia in November 2013. Weis was fired on September 28, 2014 for "lack of on-field progress". Charlie Weis signs a football for a young fan at Scott Air Force Base in Illinois. Weis and his wife, Maura, have two children, Charles Joseph and Hannah Margaret. In 2003, Weis and his wife established the Hannah & Friends Foundation, dedicated to children affected by developmental disorders and named after his daughter, who is autistic. In the spring of 2004, the inaugural Hannah & Friends Celebrity Golf Classic was held to benefit the foundation. Weis told YES Network commentators at the New York Yankees and Detroit Tigers MLB game on Friday, July 17, 2009, that his favorite baseball team is the Yankees. He was there to celebrate the announcement of the Notre Dame and Army football game to be played at the new Yankee Stadium in November 2010. Weis was born in Trenton, New Jersey, and grew up in Middlesex, New Jersey, where he graduated from Middlesex High School. He has one older sister and three younger brothers, one of whom attended West Point. In 2002, Weis underwent gastric bypass surgery, after which he lost 90 lb (41 kg; 6.4 st) from his top weight of 350 lb (160 kg; 25 st). When asked why he underwent surgery, Weis stated he was afraid he would "drop dead" from obesity. Because of complications from the surgery, Weis spent two weeks in a coma and nearly died. Weis was so close to death that he reportedly received the Catholic last rites. Weis later sued the doctors who performed the surgery for malpractice and lost. A major reason cited for the jury's decision is that Weis ignored doctors' advice and pushed to have the operation done quickly, rather than going through a recommended six-week preoperative program. Playing against Michigan on September 13, 2008, one of Notre Dame's players, John Ryan, ran into Charlie Weis by accident. Weis tore his anterior cruciate ligament and medial collateral ligament in the process and had to undergo surgery. ↑ Charlie Weis profile, CSTV. 1 2 Heather VanHoegarden, CHARLIE WEIS: Family and football Archived August 20, 2010, at the Wayback Machine., Irish Insider, April 22, 2005, Accessed November 29, 2012. ↑ Borges, Ron (September 1, 2000). "Coming to terms with the system". The Boston Globe. Retrieved 2009-10-06. ↑ "Statement From Director Of Athletics Kevin White". UND.cstv.com. November 30, 2004. Retrieved 2007-11-13. ↑ "Florida Notre Dame talked to both coach". ESPN. December 4, 2004. Retrieved 2009-08-25. ↑ "Weis to be introduced as Irish coach Monday". ESPN. December 13, 2004. Retrieved 2007-11-13. ↑ "Mythbusters: Charlie Weis' job is on the line – SI.com – SI On Campus". CNN. September 11, 2008. Retrieved 2010-04-28. ↑ "Football's Record-Setting 2005 Season". UND.com. January 10, 2006. Retrieved 2007-11-13. ↑ Moran, Malcolm (October 15, 2005). "Samardzija sparks Irish resurgence". USA Today. Retrieved 2007-11-13. ↑ "Smith, Ginn lift speedy Ohio State to another Fiesta title". ESPN. January 2, 2006. Retrieved 2007-11-13. ↑ "2005 NCAA Football Rankings – Final (Dec. 12) (Coaches Poll)". ESPN. Retrieved 2007-11-13. ↑ "2005 NCAA Football Rankings – Final (Dec. 12) (AP Poll)". ESPN. Retrieved 2007-11-13. ↑ "Charlie Weis Earns FWAA's Eddie Robinson Coach Of The Year Award.". UND.com. January 1, 2006. Retrieved 2007-11-13. ↑ "Notre Dame extends Weis through 2015". ESPN. October 30, 2005. Retrieved 2007-11-13. ↑ "Irish Fall In Sugar Bowl". UND.com. January 4, 2007. Retrieved 2007-11-13. ↑ "2006 NCAA Football Rankings – Final (Dec. 17) (Coaches Poll)". ESPN. Retrieved 2007-11-13. ↑ "2006 NCAA Football Rankings – Final (Dec. 17) (AP Poll)". ESPN. Retrieved 2007-11-13. ↑ "Notre Dame Game by Game Result". cfbdatawarehouse.com. Retrieved 2008-03-17. ↑ "2007 Team Ranking". Rivals.com. Retrieved 2007-11-13. ↑ Friend, Tom (April 21, 2006). "Third in prized Clausen clan to verbally commit to Irish". ESPN. Retrieved 2007-11-13. ↑ "Notre Dame takes advantage of UCLA walk-on QB to win first game". ESPN. October 6, 2007. Retrieved 2007-11-13. ↑ "Irish avoid first winless season at home in 74 years". ESPN. November 17, 2007. Retrieved 2007-11-19. ↑ "Notre Dame's NCAA-record 43-game win streak over Navy ends". ESPN. November 3, 2007. Retrieved 2007-11-13. ↑ "NCAA Division I-A Team Leaders: 2007 (Rushing Offense)". ESPN. Retrieved 2007-11-13. ↑ "NCAA Division I-A Team Leaders: 2007 (Total Yards)". ESPN. Retrieved 2007-11-13. ↑ "NCAA Division I-A Team Leaders: 2007 (Scoring)". ESPN. Retrieved 2007-11-13. ↑ "Michigan has Hart, much more in rout of winless Notre Dame". ESPN. September 15, 2007. Retrieved 2007-11-13. ↑ "Sanchez's four touchdowns lead Trojans' rout of Irish". ESPN. October 20, 2007. Retrieved 2007-11-13. ↑ "Charlie Weis Press Conference Transcript (Oct. 30)". UND.com. October 30, 2007. Retrieved 2007-11-13. ↑ "Scout.com Team Recruiting Rankings". Scout.com. Retrieved 2007-11-13. ↑ "Notre Dame keeps Weis, though season 'fell short'". und.cstv.com. December 3, 2008. Retrieved 2008-12-03. 1 2 3 "Clausen sets ND records with 401 yards passing, 5 TDs in romp". ESPN. December 24, 2008. Retrieved 2008-12-24. ↑ "Notre Dame AD Buyout Money not a concern". Chicago Tribune. November 15, 2009. Retrieved 2009-11-21. ↑ Mortensen, Chris (December 31, 2010). "Florida Gators want Charlie Weis to be offensive coordinator, sources say". ESPN. ↑ "Archived copy". Archived from the original on January 7, 2012. Retrieved 2011-12-08. ↑ Wiedeman, Reeves. What's the matter with Kansas (football)? Grantland/ESPN, 2013-09-11. ↑ Trotter, Jake (September 28, 2014). "Kansas fires Charlie Weis". ESPN.com. Retrieved September 28, 2014. ↑ "Charlie Hustle" at the Wayback Machine (archived May 15, 2006), copy of article from New York Post, January 23, 2005. Accessed January 31, 2013. "Weis' approach to coaching began on Princeton Drive in Middlesex." ↑ "Weis testimony: Afraid I'd 'drop dead' from obesity", Chicago Sun-Times, February 15, 2007 .